9.5/10 - "Fantastic app for travelers and list-makers. The versatility and functionality is unmatched and capable of adapting or creating new systems to help you organize and never forget anything during your trip." When travelling, it is very easy to forget to pack some of the essential items you need such as the various chargers for your electronics, or important insurance and Visa paperwork. Not any more, developer Quinn Genzel from QuinnScape, (visit official site here) created a smart iTunes application, Packing Pro that is designed to help you pack all the things that you need. 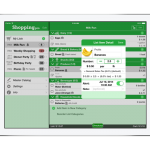 Similar to its sister app Shopping Pro It is compatible with iPad, iPhone, and iPod touch. The millions of downloads that it has generated since its introduction to App Store is clear proof that it works. Expert List-Making Assistance: This is one of the features that place it miles ahead of other similar applications. As the name suggests, you can use this feature to create simple sample lists in seconds. It is tailored to help you pick items that you need based on a number of factors such as children and adults you will be travelling with, length of the vacation, local temperature, clothes washing preference and diet. It has a huge catalog with over 800 items that you can add to your packing list. Customization has plenty of depth to tailor fit your app to your needs. The amount of fields and data that can be added to each entry makes Packing Pro the most complete App of its kind. Although the app has been out for a few years now, each version has added new functionality, reinvigorating the app with up-to-date features wanted and needed by the audience. The latest 11.0 version of Packing Pro greatly improves exporting of your data, while adding new list features including Need to Buy and Priority settings. Multi-person Listing: It is programmed to enable you to create lists for several people at a time. There are special icons and filters that you can use to sub-divide the list. 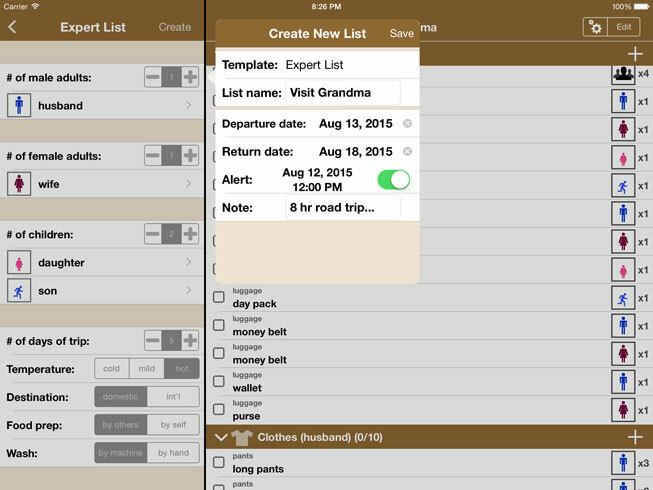 In addition, you can export the lists to your email or print them from the app using a compatible printer. iCloud Auto-sync: This feature automatically synchronize all your lists, catalogs as well as settings between all supported devices. Extra Memory Aids: You can attach photos to some of the items to know where to put them in your travel bag. You can also schedule alerts to ensure you never forget to pack them. Sharing Options: Send the list to friends and family members via iTunes File sharing feature on your mobile device or email. Available in 10 languages; English, Chinese, Spanish, French, German, Italian, Portuguese, Russian, Polish, Japanese. 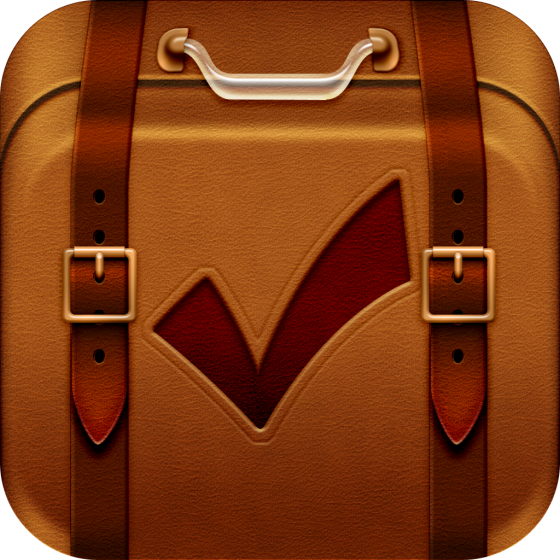 Packing Pro is indeed a third generation application that will make your trips more successful by ensuring that you do not forget to carry some of the items that you will need during the vacation. Just like other premium apps, it is easy to navigate and ads-free. Thanks for such a great review! FYI, Packing Pro is, actually, available in several other languages (Spanish, French, German, Italian, Portuguese, Russian, Polish, Japanese & Chinese). Hope your readers like it, and stay tuned for more updates!